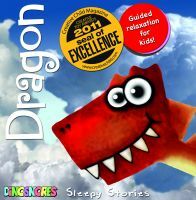 These stories are getting rave reviews, they send my little none sleeper off to sleep within ten minutes. 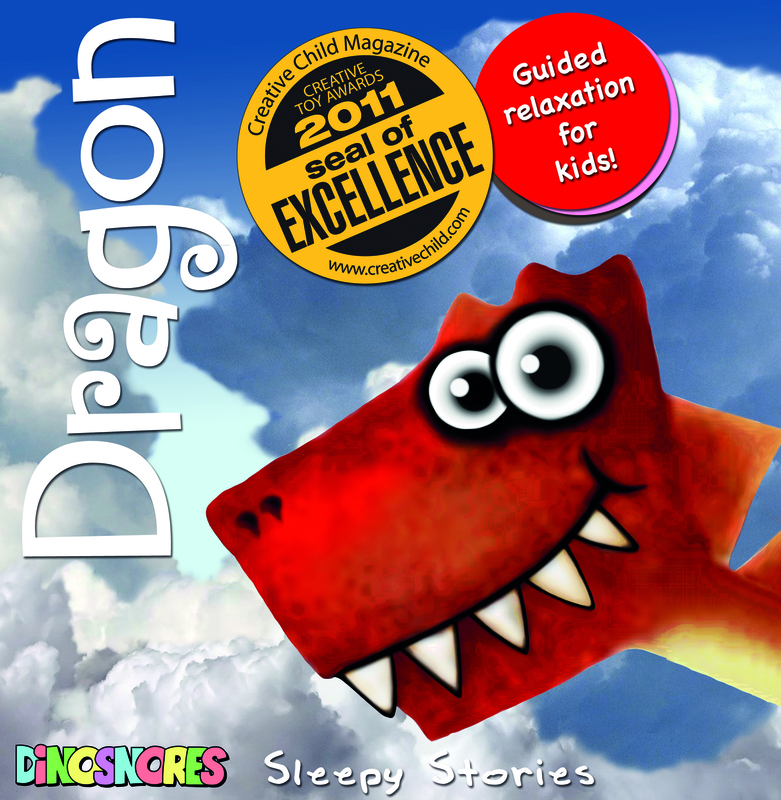 Award winning - The Mermaid sleep story has been awarded 2011 CD of the Year by Creative Child Magazine, and our Tyrannosaurus and Dragon sleep stories have each been awarded a Seal of Excellence! A yawny dragon snuggles up on its bed of treasure, as the mountain wind swirls around outside. Listen for the sound of a dragon flapping its giant wings! Well little Dragon, you've had a very busy day. Rampaging about the mountains and valleys, crunching and munching and scrunching, with your great big teeth and great big claws, flapping your giant wings and swishing your long tail, shaking the rocks and trees with your tremendous roar. What fun! But now little dragon, at the end of the day, when it's time for sleep, it's time to calm down, to slow down and rest, to make sure you're ready for another big day of crunching and munching and scrunching tomorrow. 1 You've had a very busy day 2 Closing your eyes 3 Snuggled up with all your favourite things 4 Breathing in slowly, then out slowly 5 Your whole body feeling very relaxed 6 Warm and dry 7 Quiet and still 8 Imagine the warm morning air, rushing over your great, powerful wings 9 Gliding over the land far below 10 Watching fog drifting through the mountain valleys 11 Wispy cirrus stretched out across the sky high above 12 And puffs of cumulous gathered about the base of the mountains 13 Flying higher and higher, up into the sky. Dinosnore stories are best for children who are developing their language skills - that's usually children aged between 3 and 9. 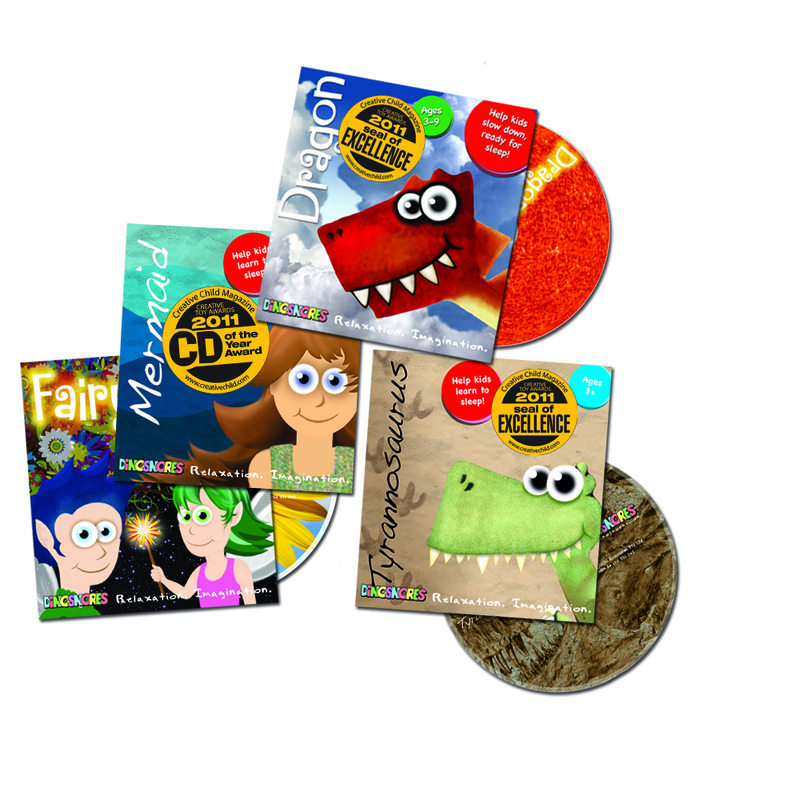 More stories are currently being produced more stories designed for younger children - aged 12 months and over. Check back soon! Each soundscape runs for 60 minutes. The first half is a story - using guided relaxation and visualisation - with the background soundscape continuing for the full hour, to make sure kids stay asleep after settling. Stories engage the listener - evoking an imaginary world. Natural backgrounds and effects - stimulate the imagination, and mask household background noise.